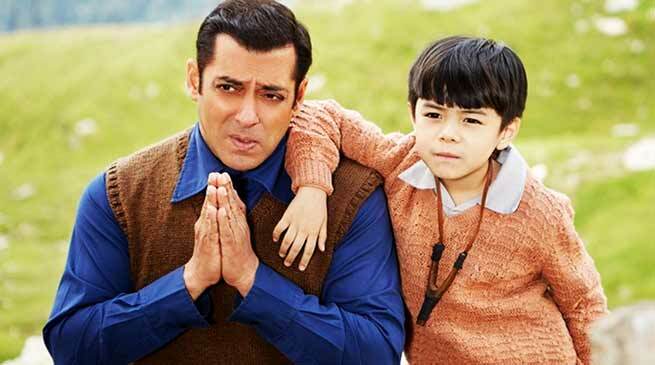 Arunachal Child actor, Matin Rey Tangu, who was seen along with Salman Khan in ‘Tubelight’ has been awarded the ‘Best actor male debutant’ for the movie by Zee Cine Awards in an award ceremony in Mumbai on Tuesday. The award ceremony will be telecast by Zee TV on 30 December. Tangu, who hails from Arunachal Pradesh, was earlier nominated for ‘Best child actor’ for ‘Tubelight’ by Star Screen Awards recently in Mumbai. It will be telecast by Star TV on 31 December. Film Tubelight, with kid Matin Rey Tangu in lead role, along with super star Salman Khan that had put his native state Arunachal Pradesh in limelight through Bollywood. Matin, son of Anupam Tangu, present OSD to Dy CM, however could not receive the award personally due to his pre-occupations in his home town Pasighat. Matin was also nominated for ‘Best Child Actor’ for his role by Star Screen Awards recently in Mumbai which he had attended. The Star Screen Awards Show will be telecast by Star TV on December 31.